Embedded in Western culture as it now is, popular Western yoga has adopted much the same attitude. Sure, there are elder teachers whose voices are still heard and respected, but for the most part, the wider yoga culture has skewed toward youth and fitness. The proliferation of yoga teacher trainings has unleashed a massive crop of 20-something teachers and bloggers. They bring curiosity, enthusiasm and innovative ideas into the mix, and that can be a healthy addition to a time-honored tradition. 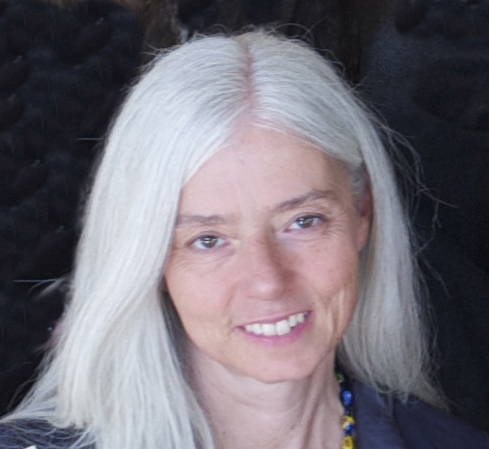 But until a yoga teacher has walked far enough along the yogic path, and the life path, to understand the ever-evolving nature of body and mind—especially after age 50—it is difficult for them to understand how to make their classes and writings speak to people outside their own demographic. That’s why Yoga for Healthy Aging: A Guide to Lifelong Well-Being by Baxter Bell, MD and Nina Zolotow is such a breath of fresh air. Founders of a popular blog of the same name, Bell and Zolotow have assembled a comprehensive text that clearly explains the natural changes that take place as our bodies age, and how yoga—the entire system of yoga—can help us to navigate these changes with ease and grace. Many lifestyle factors contribute to extending your health span. In addition to developing healthy dietary habits, these factors include regular exercise and stress management. Hatha yoga, the practice of physical postures and breathing exercises, along with contemplative practices that are part of the larger system of yoga, can directly cultivate the latter two. In Part One of the book, the authors cite four essential physical qualities that, taken together, must be cultivated in order to extend your health span. These are strength, flexibility, balance, and agility. Bell and Zolotow devote a chapter to each of these qualities. Each chapter describes how these skills can diminish in the process of aging—if we neglect to continue to develop them. The book then describes how yoga practice can help us not only retain these abilities, but can actually sometimes increase them as we age. Also in Part One are chapters that address heart and cardiovascular system health, nervous system health, stress management, cultivating equanimity and applying yoga philosophy to your asana practice and daily life. Each of the chapters on the four skills, along with those that address cardiovascular and nervous system health, describes the natural physiological changes associated with aging and how these can challenge the four basic skills as well as the cardiovascular and nervous systems. I particularly appreciate the way in which Bell and Zolotow approach what could be, for laypeople, technically challenging physiological concepts. They obviously know their stuff. But they don’t get bogged down in anatomical minutiae, preferring instead to focus on the big picture—the how and why of the physiology of aging and how it affects our lives. The language is always clear and comprehensible, and the concepts they present clarify the material that follows. Each physiological discussion is followed by an explanation of how yoga can help mitigate the challenges of aging, which is, in turn, followed by discussions of how to use your yoga practice to cultivate each skill and to strengthen the cardiovascular and nervous systems. Each chapter offers specific sequences that address each particular skill or system. Classes and texts intended for the over-50 crowd often emphasize “chair yoga” and modified postures. While these can be appropriate and welcome—and Bell and Zolotow do address practical modifications for the poses and sequences they introduce—the physical/mental/emotional conditioning of people 50 and beyond can be wildly varied. Some people over 50 lead sedentary lifestyles, while others run marathons. Yoga for Healthy Aging includes both easy and challenging routines, along with modified and unmodified pose descriptions. In particular, I appreciate the authors’ emphasis on the fact that none of the skills or systems they describe operate in isolation. For example, when we strengthen the nervous system, the cardiovascular system also benefits. When we learn stress management skills and cultivate equanimity, our physical systems, as well as our minds, benefit. Part Two of the book includes detailed descriptions and photos of all the asanas pictured in the sequences. Each asana description includes benefits and cautions, as well as descriptions of the “classic” pose and several options for using props to modify them. As with the rest of the book, their language is clear, concise and accessible. They’ve left no stone unturned in their how-to descriptions. 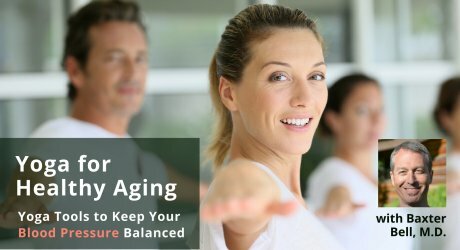 I greatly appreciate the tone of Yoga for Healthy Aging. Bell’s and Zolotow’s language is always friendly and engaging. Their descriptions of the inevitable changes that occur in our bodies as we age are neither fatalistic nor overly cheery. Instead, their approach bespeaks the equanimity they appear to have developed in their own practice. The evolution of our bodies as we age is simply what is true—it’s neither good nor bad. These changes are written into our DNA, and Bell and Zolotow approach them with a dispassionate depth of understanding that is refreshing. No matter how many years we’ve lived in our bodies, the fact is, we are all aging. Every moment. We may not think much about aging before we turn 40, but that doesn’t change the fact that our biological clocks are ticking away. Yoga for Healthy Aging is highly informative, compassionate and a joy to read. It is the most comprehensive text I’ve yet read about this process we’re all navigating and how our yoga practice can grow with us as we age. 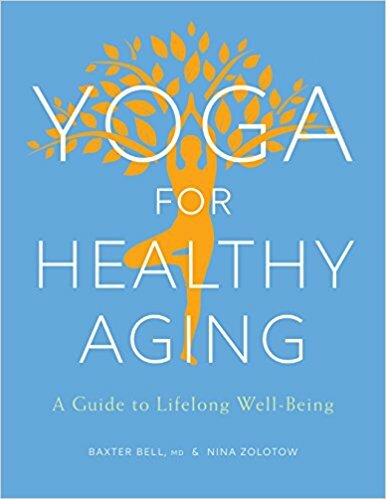 Yoga for Healthy Aging is a book that you can turn to for knowledge and inspiration for the rest of your life. Study with Dr. Baxter Bell and YogaUOnline - Yoga for Healthy Aging: Yoga Tools to Keep Your Blood Pressure Balanced.